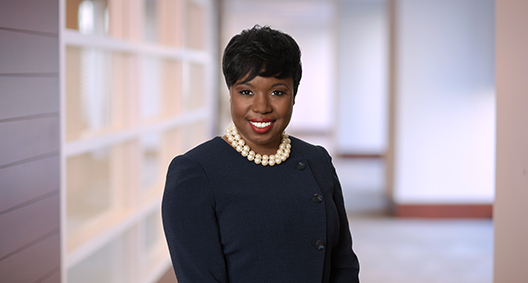 Alexis Howard Lewis’ background as a savvy and versatile lawyer lends to creative solutions for her litigation practice. Having advocated on behalf of major automotive companies, a rubber manufacturer, a large wireless carrier and others, she is knowledgeable in navigating clients through compliance agreements, confidentiality reviews and other corporate documents. Her diverse experience conducting meticulous electronic discovery work and negotiating hard-fought settlements, as well as mediating long-standing disputes between business partners and corporate entities, furthers Alexis’ well-rounded approach to meeting clients’ needs. Drafted and negotiated a variety of settlements, contracts, noncompete and nondisclosure agreements, and acquisition documents. Conducted numerous electronic discovery services for matters related to the Health Insurance Portability and Accountability Act, employment law, securities, and intellectual property, opioid litigation and other business litigation matters. Assisted one of the nation’s largest wireless carriers in the development and implementation of important documents, including general services contracts, authorization agreements and addenda. Acted as local counsel and helped defend insurance carriers in hundreds of National Flood Insurance Act and Standard Flood Insurance Policy disputes in state and federal courts. Assisted major rubber manufacturer in the research of factory fire and explosion prevention standards (NFPA 654 and 69), subsequently drafting an affidavit for the company to uphold those standards. Mitigated the processes and procedures of temporary restraining orders and writs of sequestration, primarily reviewing and editing motions to amend and dissolve writ. Advised automotive manufacturer on how to respond to a default judgment and reviewed Rule 11 letter following settlement of the case. Mitigated the process of a relevancy and confidentiality review for major luxury vehicle company. Entrusted with review of corporate documents and agreements for a variety of clients. Mediated various business and family disputes, including guardianships, adoption cases and divorces. Advises pharmacy, wholesaler and third-party logistics providers on state licensing issues and compliance with state pharmacy practice laws. Represents clients in a variety of employment litigation matters, including cases regarding discrimination, retaliation and torts.